TRAILER: Islam or Feminism Debate: Which One Truly Liberates Women? 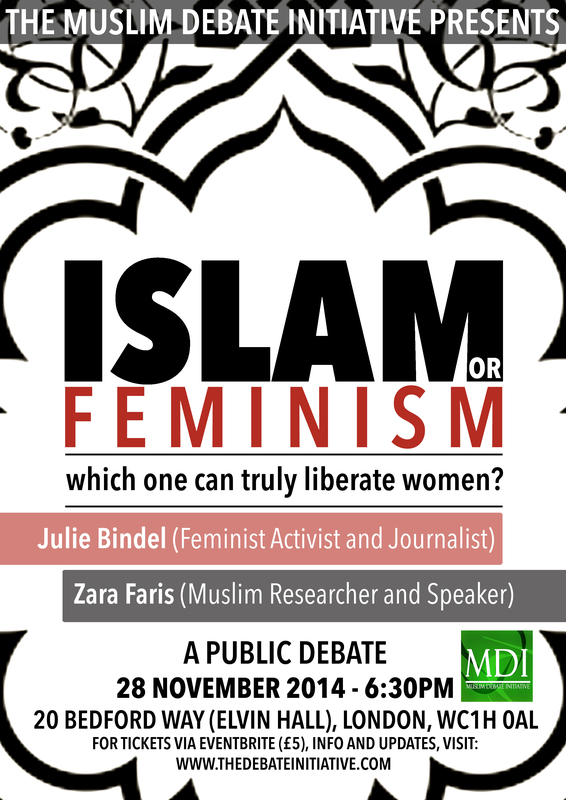 MDI has released the trailer for the upcoming debate video of the debate that featured myself debating the renowned Feminist writer, journalist and activist, Julie Bindel, on the topic of Islam and Feminism. FULL DEBATE WILL BE PUBLISHED ONLINE 22nd October 2015. « VIDEO: Feminist or Feminine?